Being born in 1958, most of my childhood years ( prior to teenage years!) were spent in the nineteen- sixties. The recent trilogy of books published about Barton during the wartime years prompted me to think about how things had changed since then, and how I remember them during those childhood days, which stood mid way between the war years and the present time. 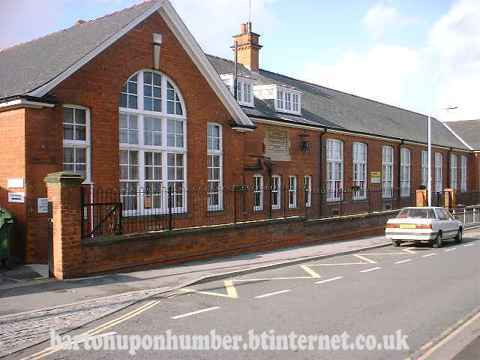 After 2 to 3 years in the infants we then moved accross to the junior School where Mr. Titman was the Headmaster and other teachers were Mrs. Pape ( of Tyrwhitt Hall ), Mrs. Chapman, Miss Robinson ( of Barrow Road ), Mrs. Credland, Mr. Gill, and Mr Aelberry. Mr Gill I remember was a great character who had been at the school for a long number of years and lived on West Acridge, his garden backing onto the school pla ying field. 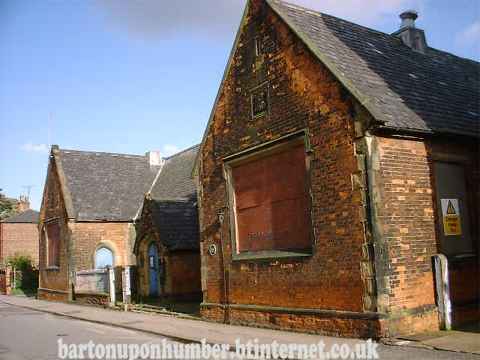 This school at the moment remains in much the same format as then, though major building works will soon change this. The senior master was Mr. Jack Baker, who taught me geography at A-level and of whom I have particular fond memories. He could be easily distracted but he managed to instil in me a love of the Lake District which I have never lost. Other teachers in 1969 included Mr. Chadwick, Dennis Lawson, Jimmy Ben, Ken Shipstone, John Chambers, Barrie Cooper, John Hopley and Wally Cook, as well as Vic Jackson and John Mellors who are still at Baysgarth School today. My first form teacher was Mrs. Roberts from Barrow who spoke with a lilting Welsh voice and was known affectionately as Ma Plod. We seemed to have much more time for leisure in the sixties, or perhaps we had fewer responsibilities at that age. The Oxford Cinema on Newport Street was still surviving at that time,( now closed as a cinema and used as a sports hall, photo on left ) and we would occasionally see a current feature film-one I remember was Dr. Zhivago, starring Omar Sharif. I also remember as a small child going to see free Brooke Bond movies on Saturday Mornings at which we were given numerous badges and balloons etc. all in the cause of promoting Brooke Bond Tea. The Star Cinema on High Street was not functioning in my memory, but I can remember the building being demolished to make way for the new Russell's Supermarket. 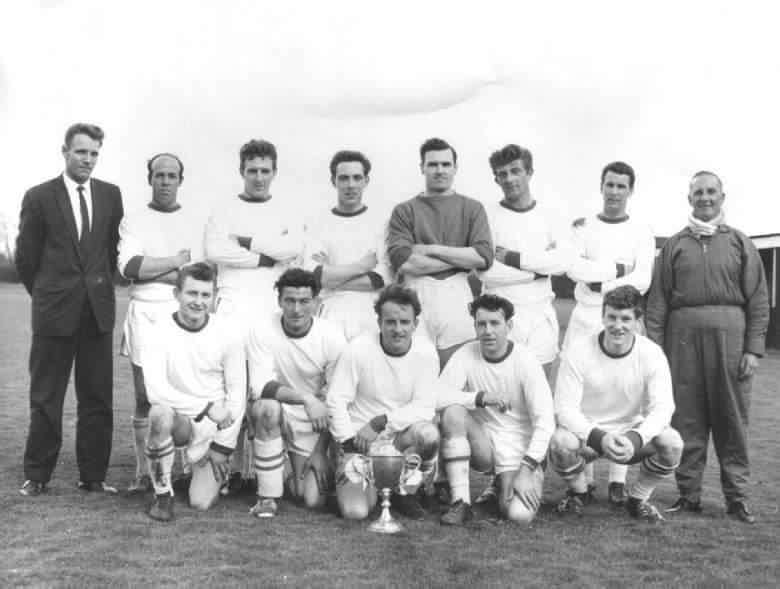 Barton had three football teams in the sixties, the main one being Barton Town who were semi-professional, playing in the Yorkshire League and then for a period in the Midland League against teams such as Heanor and Arnold (Team photo in mid 60's ). 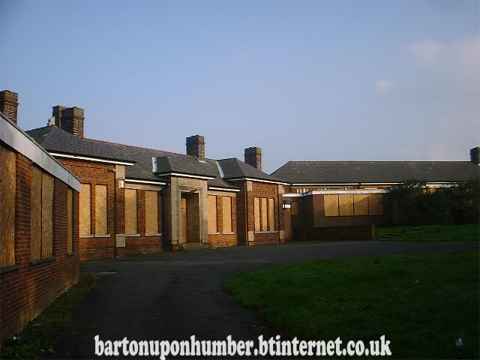 Barton Old Boys played firstly on a field just south of the Humber Bank which is now part of the Humber Bridge Viewing Area ponds, but when part of the land became used for clay extraction the Old Boys moved to Barton Towns ground. On Marsh Lane. The third team was Barton United who played on Pasture Road, which is currently the Youth Centres football ground. I believe Barton United started out as a works team for the A.C.C. wor ks but the team soon enjoyed consideraable success in the Scunthorpe League and the Ironstone Cup. Barton Town Cricket Club played then at the same Marsh Lane ground they occupy today. I also started watching League Football at this time and can recall going to watch Scunthorpe United play at the Old Show Ground, on Tommy Troop's bus. Tommy would hold a sweepstake on the way there as to who would score the first goal, but I can't remember whether I won it or not. The Carnival was held regularly in those days in Baysgarth Park much the same as it is today. One abiding memory I have of the Carnival is listening to records of the day such as " The Carnival is over " by the Seekers, "Pretty Flamingo " by Manfred Man and "Barbara Ann " by the Beach Boys being played over the loudspeakers. This helped to inspire in me a love of sixties music which has lasted until today. A travelling fair was also held fairly regularly in Dam Road Playing Fields in those days, and I gained as much excitement watching all the brightly coloured fairground vehicles rolling up, as from actually participating in the fairground attractions. Dam Road was our local playing field and we used to spend most evenings in there until dark, playing football in winter and cricket in the summer months, time which should have been spent doing homework. Another excitement in those days could be gained on hearing the fire buzzer sound, at which we would jump on our bikes and ride up to the fire station and then try to follow the fire engine to find out where the fire was! Notable fires which I remember from this period include Gordon Read's stockyard on Holydyke, the destruction of the Maltkins ( see right), and the tragic fire which claimed the lives of three foreign sailors on board a ship berthed at the A.C.C. jetty. In those days before mobile phones we used to find it great fun to ring each other from phone boxes at various points in the town, notably Burgate, White Swan Car Park, Fleetgate Clinic, and the Market Place-most of these phone boxes no longer exist. The sixties was part of the period of major employment in the town's three major industries, namely Elswick Hoppers Cycles, Halls Barton Ropery and A.C.C. (Associate Chemical Company ), previously known as the Farmer's Company and later known as Albright and Wilson and then finally as Britag. The cycle works and the ropery continued much as they had done for several decades/ but the Hopper Company merged with Coventry Eagle towards the end of the sixties. Soon after this the company started to hold cycle road races in and around the town, which I recall being very popular attractions. I can just remember the Hoppers Offices on the corner of Brigg Road being in use in the early part of the decade ( see left ). It was the A.C.C. factory however, which underwent the most drastic development during the sixties. A large concrete prilling tower in excess of fifty meters high (photo on right ) was built during this period, and I can remember watching on more than one occasion when a large pre-fabricated steel vessel was carefully manoeuvred over the then narrow Haven Bridge. 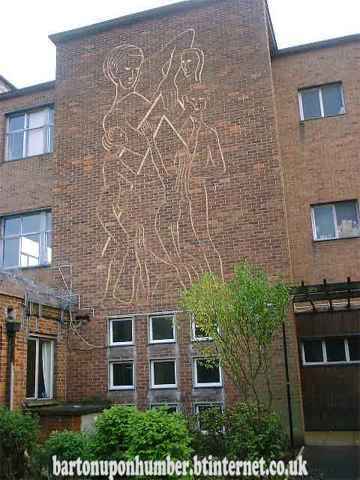 Other significant employers during this period included three tileyard ( Hoe Hill closed down in 1967 ), The Castings Company on Dam Road, and the three main building companies: Ashtons, Stamps and Fosters. Living on West Acridge, the activities around Horace Fosters yard were always a great fascination to me. He owned quite a few items of heavy plant in those days, the biggest of which was a Priestman Cub excavator, and we would often spend hours watching such machines at work, or being moved around on a low-loader. 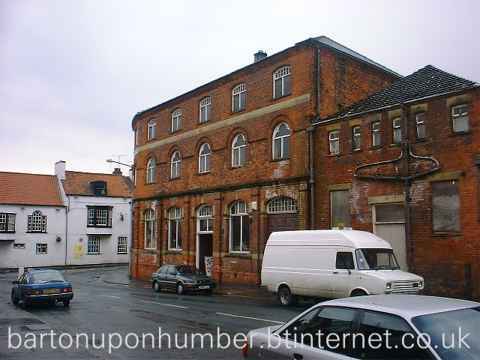 One vivid memory I have is the demolition of the former cottages on the corner of Cottage Lane and High Street ( now Tastee Foods Car Park )/ This was effected by a large ball and chain swinging from the Priestman, under the control, I think of George Pennell. Horace was building Western Drive, Ponds Way and West Grove during the sixties, but later moved his operations to the Forkdale area which developed later during the seventies. Barton seemed to have lots of shops in those days compared to the present day. These again provide us with a focal point for bike rides as we used to ride around town seeking out some more obscure emporia. Some shops I can recall, which I suppose would have been " corner type shops", were Lodges on Westfield Road, Whaleys on Far Ings Road, Hollands on Whitecross Street, Baxters on Waterside Road, and the Tuck Shop on the corner of Whitecross Street and Market Lane. One shop which always fascinated me was really just the front room of a house at the bottom of Finkle Lane, run by an old man called Mr. Stockdale. There was briefly a shop on West Grove run by Harold Crook, and I can just recall old man Rowley's shop on Fleetgate- he was still using farthings ten years after they had ceased to become legal tender! The biggest attraction for children in those days was Deweys on George Street which sold a wide variety of toys and I can also recall Edwin Davis's on Fleetgate. One year I yearned for a large garage which was on display in their window and I can remember looking longingly every time I went past- my hopes were eventually realised when it arrived, courtesy of Father Christmas! The cost I think was five pounds, a considerable sum in those days. The paper shop in the Market Place was called Franklins and I still tend to refer to it under that name today. We had our papers delivered from Fred Clipsons, however, and I can remember going and paying the bill every Saturday morning- Fred would usually slip a packet of polos into the bag with the weekly magazine! Another memory I have is Johnny Loughran's first shop down Fleetgate ( now Ride-a-bike ), where I unfortunately knocked a jar of jam off the counter and my mum had to pay for it! Prior to that we used to have our groceries delivered, either from McGills ( Temple's ) on Fleetgate or Day's on Newport Street. I also remember there being an off licence at the side of the White Swan pub. There were several garages in the town in those days. Norman Cox on Ferriby Road had the agency for both Vauxhall and BMC, while Grasby and Stephenson on Barrow Road ( later Birketts ) sold Hilman and Singer models. 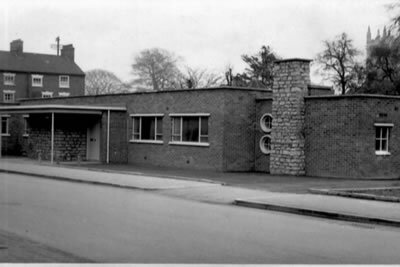 Central Garage on Cottage Lane was a Ford Dealership, run by Charlie Osgerby, whilst Norman Credland's on Priestgate was also a fairly large concern. All of these garages in those days were multi-purpose and sold petrol, spare parts and tyres, as well as new and used cars. Sandwiches, newspapers and flowers did not feature on the garage premises of that era! I have already mentioned residential developments in the Western Drive area, but other housing areas developed in the nineteen sixties included East Grove, Sunnybank, Hawthorn Gate and Millfields. One large public development in this period was the Open Air Swimming Pool ( photo on left ) which was opened in 1964 by the local M.P. Lance Mallalieu. 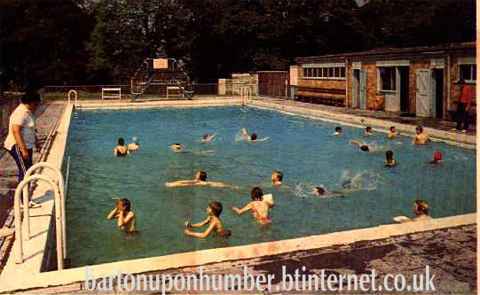 The pool was built by the local firm of Arnold Pickard and I can remember seeing the large hole being excavated in the park. Pickard's yard was on Castledyke West and Arnold later ventured into racehorse ownership, owning horses such as "wages day" and " Copper Day" which would occasionally be featured on race meetings on television. 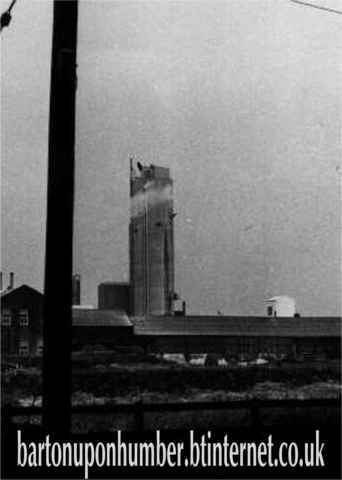 Buildings which were demolished during this period included the Jehovah's Witnesses Kingdom Hall on Waterside Road, which was constructed of green corrugated steel sheets, the Whiting Mill at the bottom of Castledyke West, Winships Flags on High Street and the old Ket house on Dam Road. 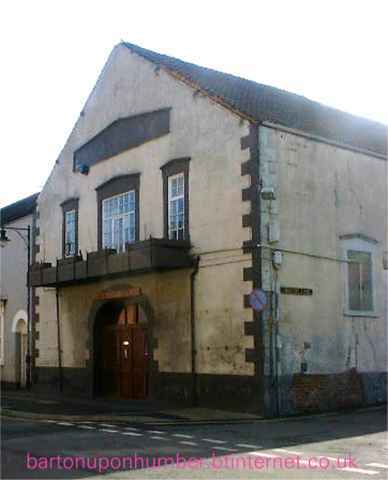 The building on Maltby Lane which is currently used as the Youth Centre served as both the library and the Salvation Army Citadel during the early sixties. The area around the town has not altered dramatically since the sixties, but some small farmsteads and market gardens have become swallowed up by housing developments. I can recall Park Farm on Horkstow Road ( Andrews), the market gardens including Duckers on Pasture Road, Hornsbys on Eastfield Road and Shores on Caistor Road. Living on West Acridge we often used to go for a walk across the fields onto Gravel Pit Lane, and then return along Westfield Road, but that footpath became closed with the development of the Humber Bridge Approach Road. 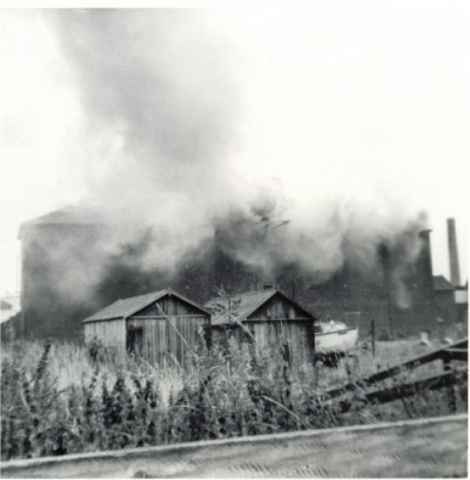 The towns refuse in those days was crudely dumped in the old clay pit at the end of Dam Road, where The Civic Amenity site now stands, but there was little or no control over what was tipped or how it was buried. Earles Cement of Hull were digging out vast quantities of clay in that period for shipping across the Humber. This has resulted in the large areas of open water in the north-east corner of the parish, one of which became the home of the North Lincs Sailing Club around that time. Once this land was worked out, Earles started digging clay south of the railway line and I can remember a tunnel being constructed under the railway to allow the clay to be transported to the warf along a mineral railway. Earles obviously bought up large tracts of land for future use which was never used, and this is how the " Blue Circle " land which has been discussed recently came into being, once Earles was taken over. The Humber Road industrial estate was constructed through Hoodless's field between Dam Road and Far Ings Lane. The Central Surgery on King Street was much smaller when I was a child, and as I remember only had the one receptionist. My own G.P. was Doctor Gilmour ( later replaced by Doctor Dickinson ), and his colleagues in the sixties were Doctor's Kirk, Howard, Birtwistle ( George ) and son Jimmy Gilmour. Doctor Jim Robertson was the Medical Officer for Health and would pay visits to the schools at regular intervals to hold check-ups etc. I know it is said that nostalgia is only remembering the best bits of history, but I am sure you will agree that some things were better in those days.